Before Moses approached the king of Egypt to seek freedom for the children of Israel, he and his brother, Aaron, met with the oppressed leaders of Israel. During this meeting, Moses and Aaron encouraged the people to consecrate themselves to the Lord and told them God was about to deliver them from slavery with a mighty hand. As in the days of Moses, God is about to do great things for His people. Soon they will be delivered from the slavery of sin and journey to the heavenly Canaan. And once again, God is now trying to turn the minds of His people toward the importance of the Sabbath rest. 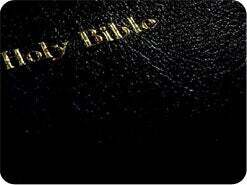 * The Holy Bible, New King James Version, (c) 1979, 1980, 1982, by Thomas Nelson, Inc. Used by permission. 1. Did God make the Sabbath rest only for Israelites? Mark 2:27. And He said unto them, The sabbath was made for ______, and not __________ for the sabbath. When Jesus says that the Sabbath was made for man, the word "man" means all "mankind"--for all people, for all time, in every place. 2. 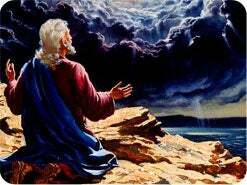 When did God establish the Sabbath? Genesis 2:1, 3. Thus the heavens and the earth were ___________, and all the host of them. ... And God blessed the seventh day, and sanctified it: because that in it he had rested from all his work which God created and made. The Sabbath was established at the close of Creation week. 3. What day of the week is the Sabbath? Three times in Genesis chapter 2, God tells us that He made the Sabbath from the seventh day of Creation week. He also "sanctified" it, which means "to set aside for a holy use." God made the Sabbath as a 24-hour period of time, because time is what it takes to develop a true love relationship with Jesus. The devil, like Pharaoh of Egypt, wants to keep us so busy working that we don't think about God. Knowing how overly busy end-time people would be, God set aside 24 special hours weekly to spend with His people, getting acquainted. He has made that weekly appointment with you. Don't fail to meet Him! 4. How has God demonstrated the importance of His holy Sabbath? Exodus 20:8-11. Remember the sabbath day, to keep it holy. ... The Lord _________ the sabbath day, and hallowed it. Exodus 20:8-11 is the fourth commandment of God's law. 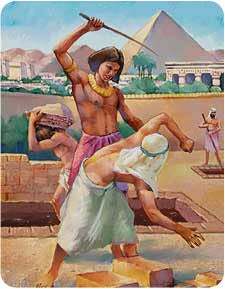 By making the Sabbath one of His Ten Commandments, He demonstrated its extreme importance. Verse 10 calls it "the sabbath of the Lord thy God." Only the fourth commandment begins with the word "remember," indicating God knew that people would forget. 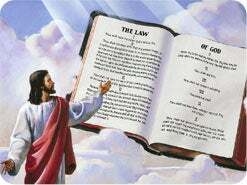 Breaking God's Ten Commandment law is sin (1 John 3:4). But Jesus died to save His people from their sins, or law-breaking (Matthew 1:21). 5. Of what two precious things does God say the Sabbath is a sign? Ezekiel 20:12. I gave them my sabbaths, to be a sign between me and them, that they might know that I am the Lord that __________ them.Exodus 31:17 It [the Sabbath] is a sign between me and the children of Israel forever: for in six days the LORD made heaven and earth. God says the Sabbath is a sign, or mark, of His power as Creator and Redeemer. 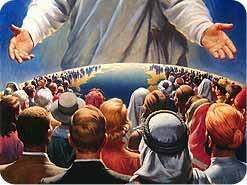 In Revelation 14:6-14, God gives three important messages that are to be proclaimed to "them that dwell on the earth, and to every nation, and kindred, and tongue, and people." Verse 6. The first message is found in verse 7: "Fear God, and give glory to him; for the hour of his judgment is come: and worship him that made heaven, and earth, and the sea, and the fountains of waters." This appeal for a return to true worship is drawn right from the fourth commandment: "For in six days the Lord made heaven and earth, the sea, and all that in them is, and rested the seventh day." Exodus 20:11. 6. Which day did Jesus keep holy? Luke 4:16. 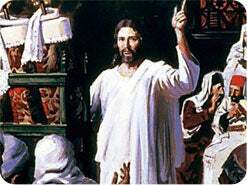 And he came to Nazareth, where he had been brought up: and, as his ___________ was, he went into the synagogue on the sabbath day, and stood up for to read. Jesus is our example (1 Peter 2:21) in everything, including Sabbath-keeping, which was His custom. A "custom" is a regular habit. Christians are to walk as He walked (1 John 2:6). 7. What was Paul's custom regarding the Sabbath? Acts 18:4. And he reasoned in the synagogue ________ ___________, and persuaded the Jews and the Greeks. It was also Paul's custom to keep the seventh-day Sabbath. 8. 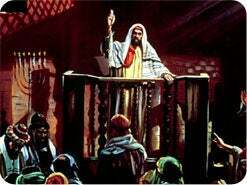 Did the apostles also meet with the Gentiles on the Sabbath? Acts 13:42. And when the Jews were gone out of the synagogue, the Gentiles besought that these words might be preached to them the next ____________. 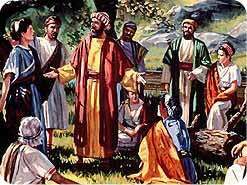 On another occasion, the disciples met on the Sabbath with a group of Gentile women by the riverside, because the city had no synagogue (Acts 16:13). 9. Did Jesus intend for His people to keep the Sabbath after He died for their sins? Matthew 24:20. But pray ye that your flight be not in the winter, neither on the ___________ day. Jesus was here predicting the fall of Jerusalem, which He knew would take place in A.D. 70 (about 40 years later). But He suggested they pray that they would not have to flee from the invading army on the Sabbath. It is clear that Jesus expected His people to be keeping the Sabbath holy long after His death. 10. 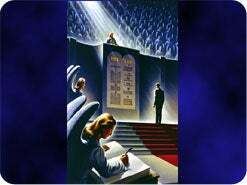 Does the Bible teach that God's end-time people would also keep His seventh-day Sabbath holy? Revelation 12:17. 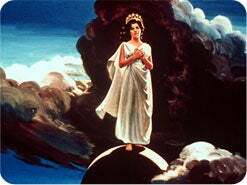 And the dragon [devil] was wroth with the woman [church], and went to make war with the remnant [remainder] of her seed [children], which keep the ______________ of God. 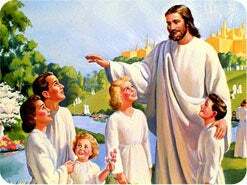 Revelation 14:12 Here is the patience of the saints: here are they that keep the __________ of God. Revelation 22:14 Blessed are they that do his __________, that they may have right to the tree of life, and may enter in through the gates into the city. The above Scriptures obviously refer to God's end-time church, and each passage states plainly that God's end-time church keeps His commandments--which, of course, include the fourth commandment, the Sabbath. 11. Will all of the saved in heaven keep the Sabbath? Isaiah 66:22, 23. For as the new heavens and the new earth, which I will make, sh__________ remain before me, saith the Lord, so sh__________ your seed and your name remain. And it sh__________ come to pass, that ... from one sabbath to another, sh__________ ______ flesh come to worship before me, saith the Lord. The Bible says that all the redeemed of all ages will keep God's Sabbath together in heaven and in the new earth. 12. 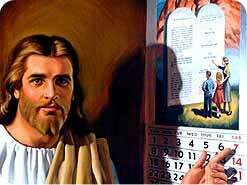 Can we be certain that the present seventh day of the week (Saturday) is the same Sabbath day that Jesus kept holy? Luke 23:54-24:1. And that day was the preparation [Friday], and the sabbath drew on. 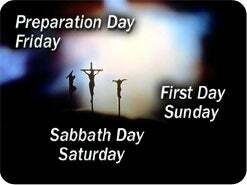 ... And they returned, and prepared spices and ointments; and ______ the sabbath day according to the commandment. Now upon the first day of the week, ... they came unto the sepulchre. 13. Does God allow anyone to change His holy day? Proverbs 30:5, 6. Every word of God is pure: ... ______ thou not unto his words, lest he reprove thee, and thou be found a liar. Just before God gave the Ten Commandments, as described in Deuteronomy chapter 5, He solemnly warned that no one should "add unto" or "diminish ought from" them (Deuteronomy 4:2). Rather, they were to be kept precisely as He gave them. God blessed His Sabbath (Exodus 20:11), and when He blesses something, it is blessed forever (1 Chronicles 17:27). God says, "My covenant will I not break, nor alter the thing that is gone out of my lips." Psalms 89:34. Misguided men admit that they changed God's holy Sabbath to Sunday. 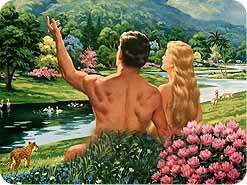 But God will not accept men's teachings when He gave the Bible as our guide. 14. 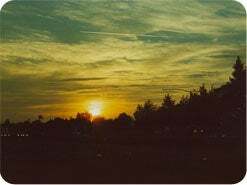 When does the Sabbath begin and end? Leviticus 23:32. From __________ unto ________, shall ye celebrate your sabbath. Mark 1:32 And at __________, when the sun did set. The Sabbath hours begin at sundown Friday and close at sundown Saturday. 15. What day is the Lord's day of Revelation 1:10? Exodus 20:10. But the seventh day is the sabbath of the ________ thy God. Isaiah 58:13 If thou turn away thy foot from the sabbath, from doing thy pleasure on my holy day. Mark 2:28 Therefore the Son of man is __________ also of the sabbath. In both the Old and New Testaments, God calls the Sabbath the Lord's day. He also commands that people be warned against committing the sin of trampling God's Sabbath (Isaiah 58:1, 13). God declares that His holy Sabbath is for all people (Isaiah 56:2-7). The Bible never refers to Sunday as the Lord's day. It is simply one of the six working days of the week (Ezekiel 46:1). That's all it has ever been. 16. What blessing is promised by the Sabbath commandment? Matthew 11:28. 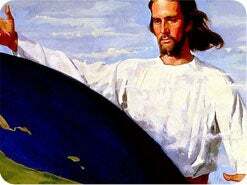 Come unto me, all ye that labour and are heavy laden, and I will give you ________. Exodus 33:14 My presence shall go with thee, and I will give thee __________. Hebrews 4:5 If they shall enter into my __________. 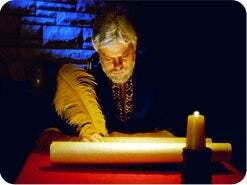 Each one of the Ten Commandments has a spiritual meaning. Some legalistic Christians focus on the letter of the law and neglect the spirit of the law. Jesus wants us to have both to maintain balance (Matthew 5:21, 22, 27, 28). The Bible often uses the term "rest" to refer to salvation. Hebrews 4:1, 4, 9, 10 says that those who have truly been led to the "rest" of conversion and who abide in Christ will keep the seventh-day Sabbath as a symbol of the Christian rest. 17. Because Jesus has given the Sabbath as a sign of His power to create and sanctify, would you like to begin receiving the blessings of this holy day by keeping it in His honor? Saturday (noun) The seventh and last day of the week. Seventh-day (adjective) Of the seventh day (Saturday). Sunday (noun) The first day of the week. The calendar was changed once in October 1582, but it did not alter the weekly cycle. Ten dates were omitted from the calendar following October 4, 1582. What would have been Friday, October 5, became Friday, October 15. The diagram below will help you to visualize the change. You will see that it did not change the order of the days of the week.